Over the last 2 years there is one thing that has hugely increased in number in my shed and holdall, and that is pellets. Pellets aren’t a particularly new idea and I remember them really starting to take venues apart in the late 90’s early 00’s when they starting to spike in popularity and it was all still a bit of a novelty. Since then pellets have come a long way, in various different sizes, styles, shapes and flavours. They have gone from strength to strength and consistently form the main stay of many match anglers “go to” bait. In all honesty I steered clear of pellets for as long as possible, believing that more natural baits would produce as well as any pellet, but the more venues I visited and the more lakes I fished, it was clear to see that although natural baits were effective, they just didn’t consistently compete with pellets. Wanting to have as successful a day as possible on venues where matches are fished I switched over to pellets and to be honest, I haven’t looked back. There has been a bit of trial and error, and when asked recently how I was hooking the hard pellets (on this occasion I using a hair rig) I had a look at my topkits and explained that I had few rigs set up to cover my options. 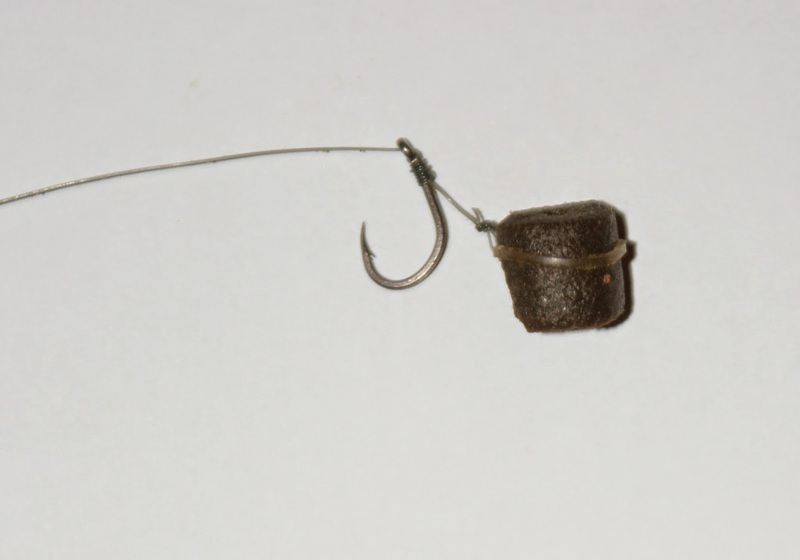 As mentioned above I was fishing a hair rig on the pole (on this occasion) but these variations can generally be adapted to fish the feeder, bomb or waggler set ups. The method of attaching the pellet to your line will depend on the size of pellet used, but the standard methods are quite straight forward. 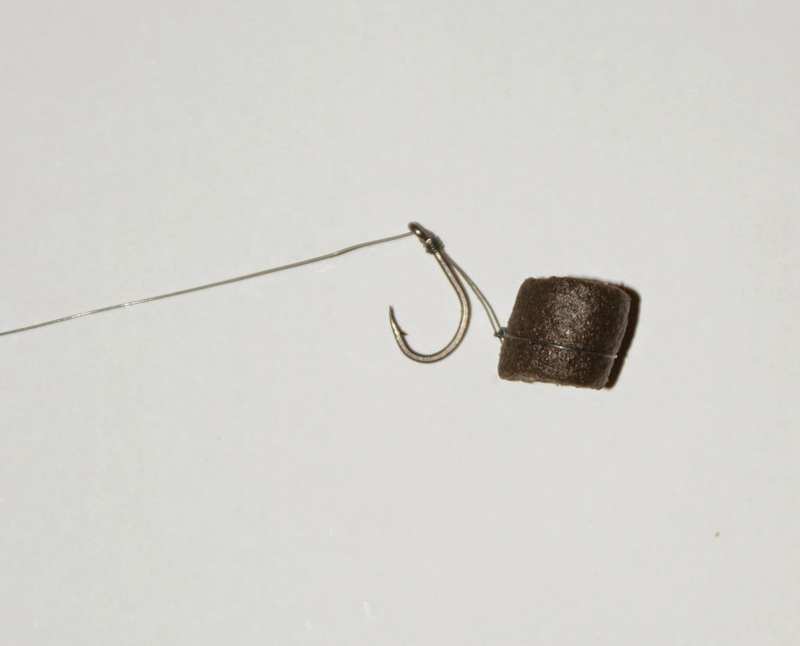 This method is great when fishing pellets down to 4mm (as long as you can get small enough bands). Unlike the “Hooking band” technique this method involves having a small elastic band tied off the loop of the hair rig, which allows you to successfully band around the pellet. This method has an advantage of a more “natural descent” through the water, and is not offset by the weight of the hook. Then again, depending on what hard pellets you use may also have an impact on sink rate. This involves a small loop which is tied from the hooklength, exactly as where you would have a hair rig. 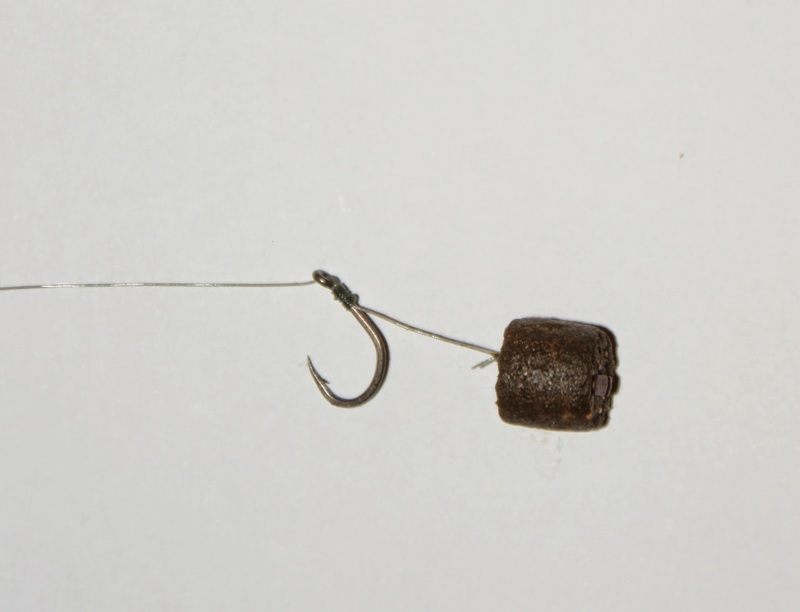 The pellet it inserted into the loop and the loop is the tightened until the pellet is held securely. Held with a pellet stop. This method is commonplace now on most pellet fed lines, whether it be on the pole, on the feeder, bomb or waggler. Suitable for any pellet which id capable of being drilled. I have drilled 6mm pellets, but found they are prone to break. With every size above 8mm available as pre-drilled they are usually attached by threaded them onto a baiting needle and then up onto the hair. I have also tried hooking the band straight through the band (below), but I have found it difficult striking true bites, and so have veered away from this method, opting for the haired version (which has resulted in an improved catch rate and more natural presentation). One thing is essential with using these haired methods – strong hooks, preferably designed for hair rigging. If you have any questions about the above please contact me here.